In the annals of reggae music and its devotion to Emperor Haile Selassie, one thing becomes striking by its absence: the lack of Ethiopian voices giving thanks and praise to the Almighty God through the teachings of His Majesty. Now, from Addis Ababa, by way of Southern California, comes a striking new voice whose direct links to the King of Kings are stronger than any other singer and player of instruments this century has known. the palace. I used to see him at least once a week throughout my childhood." When Selassie was deposed, Isaac recalls sadly, "I felt like I was cut into halves and I had no place in my own land. War and destruction surrounded me. So I decided to walk out of my country through the desert of Eritrea, all the way to the Sudan. My companions and I slept in the daytime and walked in the night, hiding like hyenas. I eventually found my way to Khartoum, Sudan, and one day I encountered a group of Ethiopians who were lying in the 120 degree heat under a fan in a small room, listening to Bob Marley on the radio." This initial encounter with Jah music came as a visceral revelation. "His voice sounded like truth, although none of us could understand what he was saying. I'd never heard of dreadlocks or Jamaica or Rasta. I never knew there were these people abroad who loved Selassie I. But the spirit of this man just hit me like he hit the rest of the world." 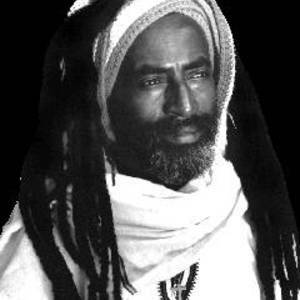 Isaac eventually arrived in the United States in 1980 and by 1983 he had reached Los Angeles where he began performing publicly, starting in an Ethiopian restaurant, singing Ethiopian songs and reggae both in English and Amharic. Isaac's message of unity, love and peace took off and he began playing at many of the local universities, popular clubs and venues like the African Marketplace, Beach Fest, Coconut Teaser, Kingston 12 and the Music Machine. More recently, Isaac has performed at the Sierra Nevada World Music Festival (Marysville, CA) Roots Mountain Reggae (Tonasket, WA), Northwest Reggae Fest (Seattle, WA and Portland, OR), Roots Revolution Festival(Montana), Lake Casitas World Music Festival (Ojai, CA), One Root World Music Festival (Sacramento, CA) and was a headliner on the 2000 Annual Bob Marley Exodus Festival, traveling and performing throughout Texas and Arizona. He has played shows in Toronto, Canada, Boston and Cambridge, MA, Virginia, Boulder and Denver, CO and continues to tour and perform. His debut CD, "UNITE" was chosen as one of the Top Ten reggae releases of 1999 and 2000. Ethiopia's history has been a struggle toward unity during the past millennium. I contribute this music for Ethiopians at home and abroad who starve for peace and unity and for Africans and the rest of the world who pray for happier times to come for all of us."